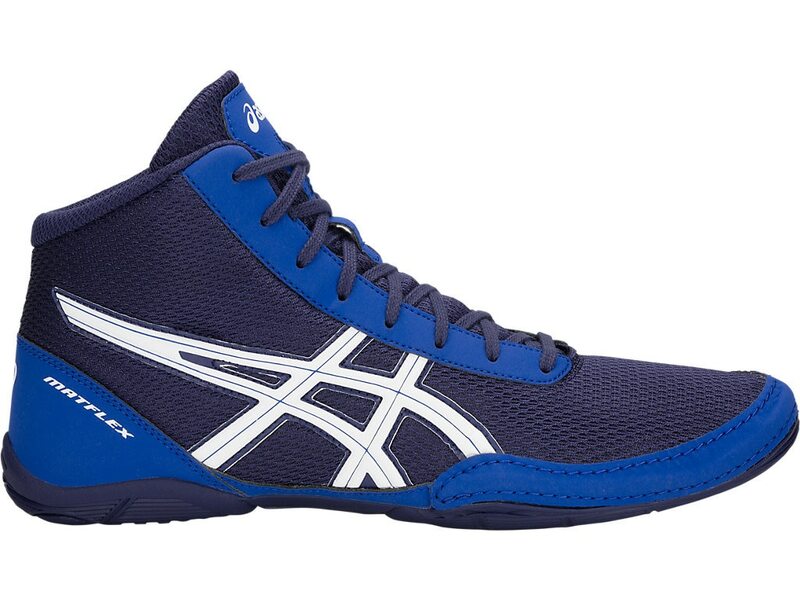 The MATFLEX 5 is the all-around wrestling shoe at an entry level price that delivers excellent comfort and support. A full-length gum rubber outsole provides outstanding traction, while breathable zones that keep you comfortable throughout the entire match. Laces get tucked safety away with regulation-compliant integrated Lace Garage technology.